BIOS is great, everything works well and it keeps stable overclocks on both CPU and RAM no problem. 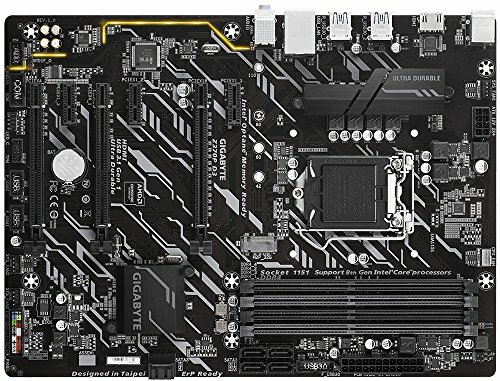 Mobo is great, Gigabyte drivers/updates, etc. can be difficult. 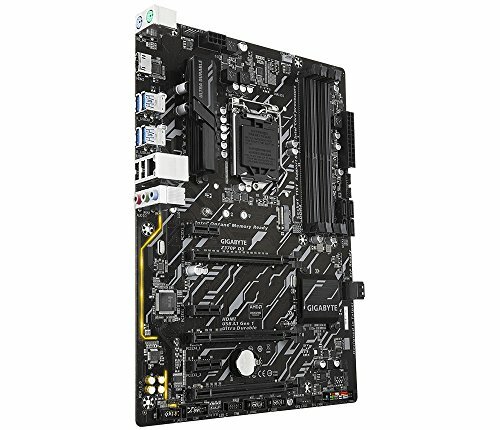 This is one of the cheapest full ATX Z370 boards I could find, so I didn't expect greatness. Looks decent, has a flashy little yellow LED glow on it. 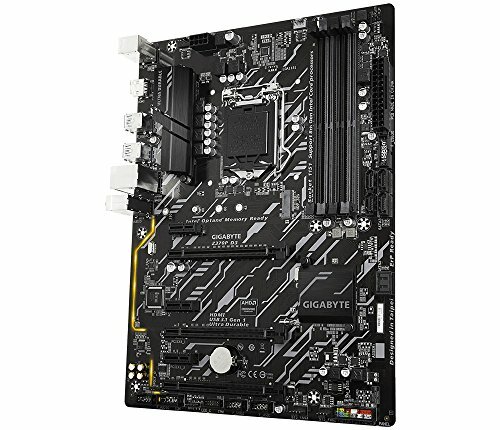 However, this motherboard is what I believe to be limiting much of the CPU overclocking (price to performance right?). BIOS took some getting used to. But is working well for what I intended. DRAWBACK: The on-board sound is terrible if using the rear jacks. Ended up routing the headset to the front panel jacks due to EMI noise from the rear jacks. Z370P D3 seemed like a decent buy, it can provide some overclocking if I so desire in the future to upgrade to a K series i5 or i7. Has plenty of SATA ports, an LED strip port and even some orange LED lines going across the left side of the board, looks really nice. Setting an XMP profile for the RAM in the BIOS was a breeze. Excellent BIOS. Great on-board RAID control. Good BIOS boot time. Very easy to install. No complaints. 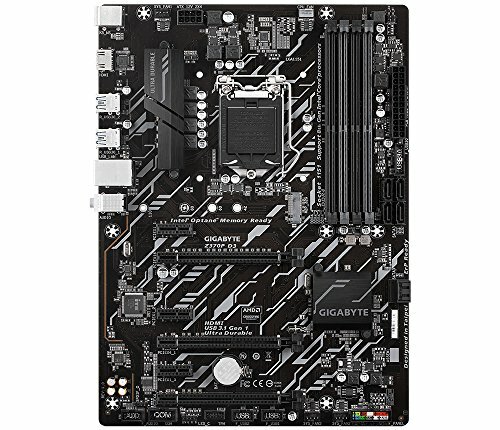 Gigabyte has yet to disappoint.